Most of us are too lazy to apply sunscreen while leaving our homes, right? But then we regret the moment when we look at the freckles that appear on the face after sometime. Therefore, make sure that you never leave the house without wearing sunscreen on your face. Sunscreen helps you look younger and also protects you from skin cancer. 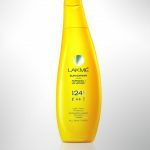 Lakme has some amazing products in their sunscreen range, which we will discuss today. Hope this helps you to find the sunscreen that is best suited for your skin. 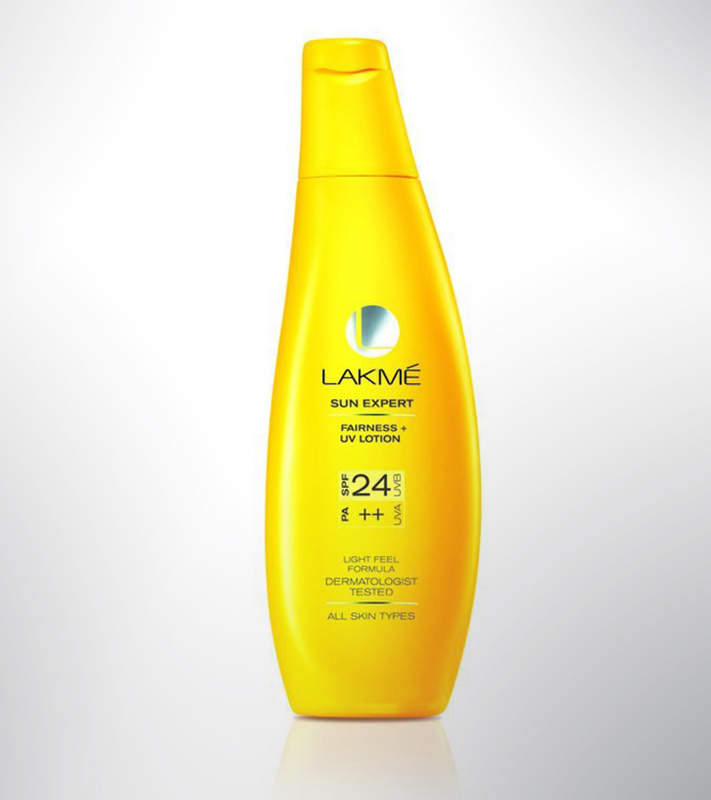 Lakme Sun Expert Fairness UV Lotion with SPF 24 and PA++ protection can be useful for all skin types. It helps to protect the skin from sun exposure and guards against the harmful UV rays. This sunscreen can feel light on your skin but takes some time to get absorbed. It is also dermatologist-tested. 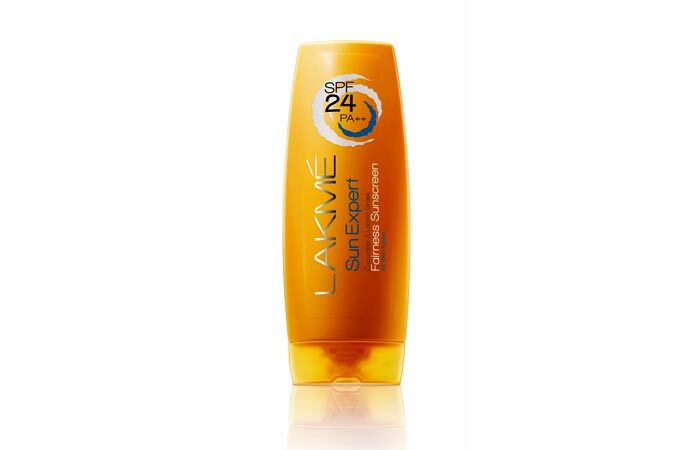 This Lakme Sun Expert Fairness UV Lotion SPF 24 PA++ is mainly recommended for Normal or Dry skin. Lakme Sun Expert Fairness Sunscreen with SPF 24 PA++ contains cucumber and lemon grass extracts, which gives a cooling effect when applied. The fragrance is a lingering citrusy one which is refreshing in summers. It gets absorbed easily into the skin in just few seconds. It also doesn’t let your skin acquire a tan and neither causes skin breakouts. Moreover, it will not leave any whitish cast on the face nor does it make the skin oily. This Lakme Sun Expert Fairness Sunscreen (Cucumber Lemongrass) SPF24 PA++ is recommended for all skin types. This sunscreen takes a minute or two to get absorbed into the skin. It requires reapplication every 3 to 4 hrs. The thin tube packaging looks very cute and attractive. The tube lasts for about a month and a little amount is sufficient for application. It has an anti-darkening effect on the skin, but is not meant for oily skin as it can leave your skin greasy, oily and also cause breakouts. 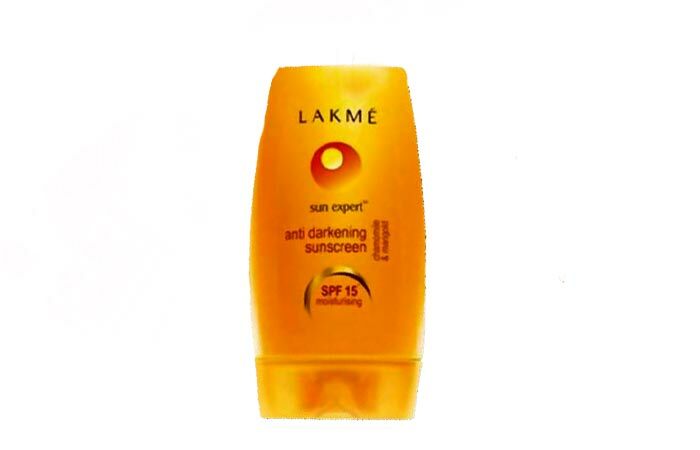 This Lakme Sun Expert Anti-Darkening Sunscreen is recommended sunscreen for Dry Skin. Lakme Sun Expert Cucumber & Lemon Grass Fairness Sunscreen with SPF30 PA++ is designed to provide UV protection while hydrating your skin. It can block up to 97% of UVA rays and prevent problems like sun burns, dark spots, premature aging and skin darkening. This contains the goodness of cucumber and lemon grass extracts. It is easily absorbed and helps to lighten the skin, making it lighter with regular use. This product is hypoallergenic and dermatologically tested. However, this sunscreen cream is very thick and is somewhat difficult to blend on dry skin. It also leaves a whitish cast on the face. It has a mild and pleasant smell. This Lakme Sun Expert Cucumber & Lemon Grass Fairness Sunscreen with SPF 30 PA++ is mainly recommended for Normal to dry skin, but avoid if you have oily skin. Lakme Sun Expert Cucumber Lemongrass SPF 50 PA +++ sunscreen has a creamy to powdery texture that doesn’t leave your skin greasy or oily. It helps to protect the skin from sunburns and red patches. It gets quickly absorbed without making the skin look oily or sweaty. It has a very pleasant citrusy smell. 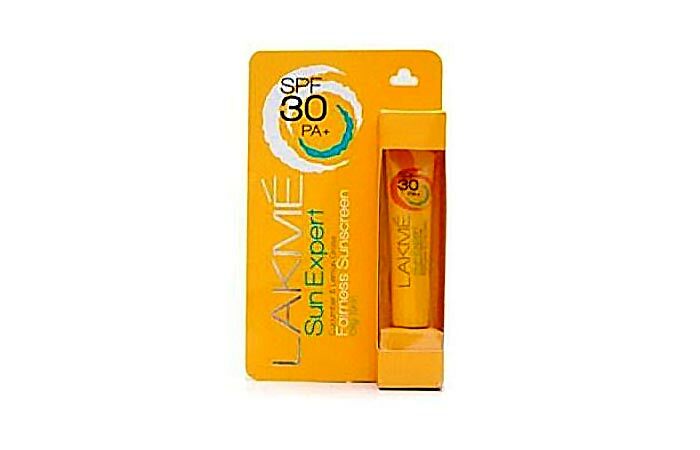 This Lakme Sun Expert Cucumber Lemongrass SPF 50 PA+++ Sunscreen is recommended for Normal to Dry skin. It is specially formulated with UV filters and anti-tan, skin-soothing ingredients. It helps to deep cleanse and soothes skin irritation post sun exposure. It contains the goodness of cucumber and lemon grass extracts. This product from Lakme will leave your skin soft, fresh and clean. The cute yellow tube packaging is very appealing. It smells citrusy and refreshing during summers. It gives a cooling sensation and lathers very well. It also doesn’t cause breakouts neither will it make your skin oily or dry. 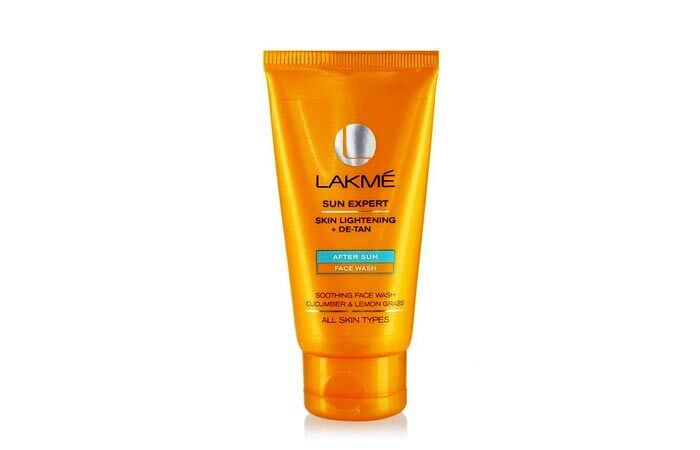 This Lakme Sun Expert De-Tan After Sun Face Wash is mainly recommended for Normal skin. 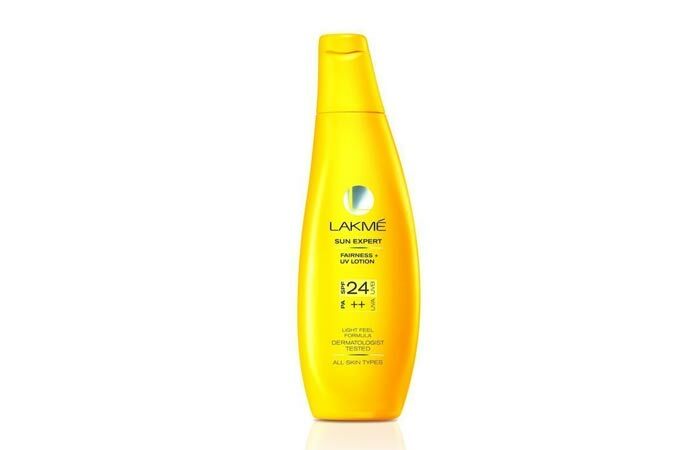 This Lakme sunscreen is thinner, more lightweight and gives better sun protection. It has an attractive and convenient packaging. It gives a clean and fresh look to the skin when applied and has a mild refreshing cucumber scent. 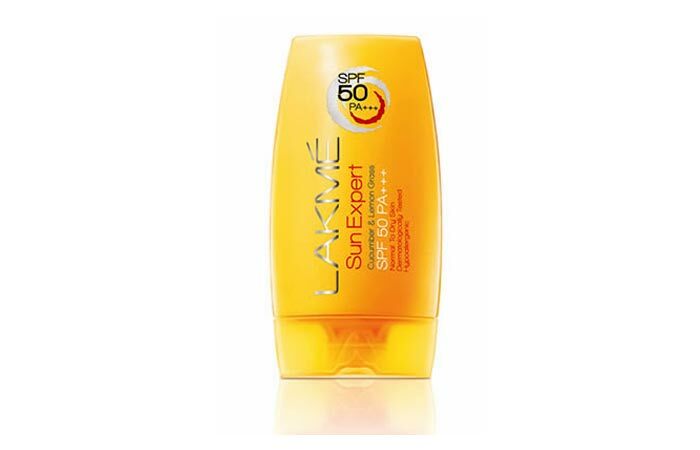 Lakme Sun Expert Sun Screen SPF 50 PA+++ has a high SPF and it doesn’t make oily skin appear shiny. It even helps to moisturize very dry skin. 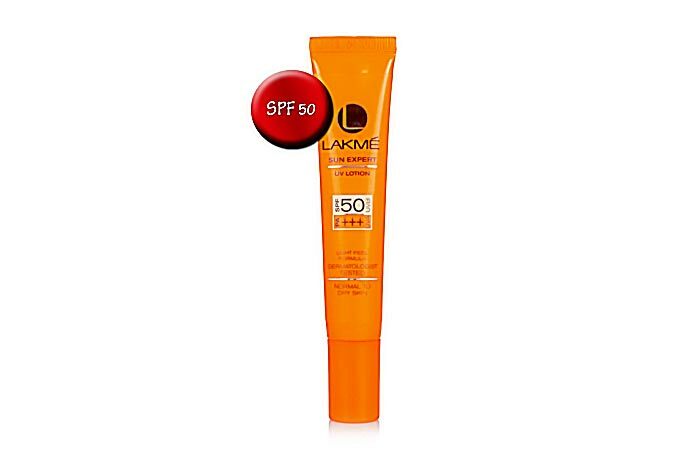 This Lakme Sun Expert Fairness + UV Lotion SPF 50 PA +++ is recommended for Normal to dry skin. It is a lightweight and cooling moisturizing gel that can help you get rid of skin damage caused by the harsh sun rays. It helps to lighten sun tan, even out the skin tone and correct blemishes. It is filled with cucumber and lemongrass extracts, which have cooling properties. It provides good hydration and makes the skin radiant. The texture of the gel is smooth which makes it easy for application. It also has an appealing lemongrass fragrance. However, oily-skinned beauties can experience skin breakouts after using this product. 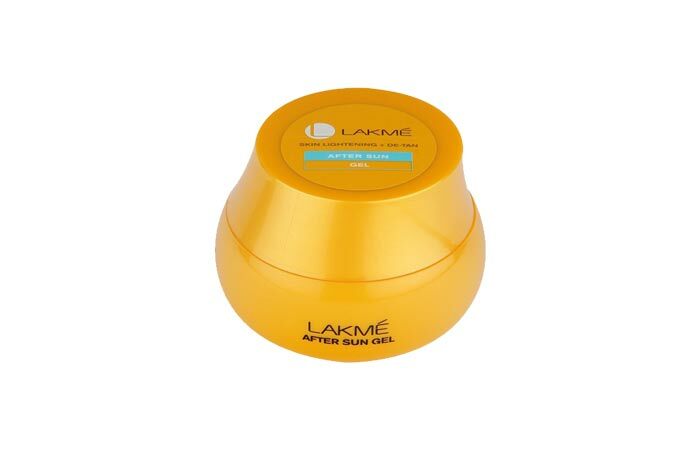 This Lakme Sun Expert Skin Lightening + De-Tan After Sun Gel is recommended for Normal or dry skin. Lakme Sun Expert After Sun Skin Lightening + De-Tan Face Mask helps to lighten sun tan and correct sun damage to give you fresh, glowing skin and an even skin tone. It is a Kaolin Clay-based mask with cucumber and lemongrass extracts. It is a creamy mask and has the pleasant smell of cucumber that provides a smoothening effect to your skin. It is neither oily nor greasy. 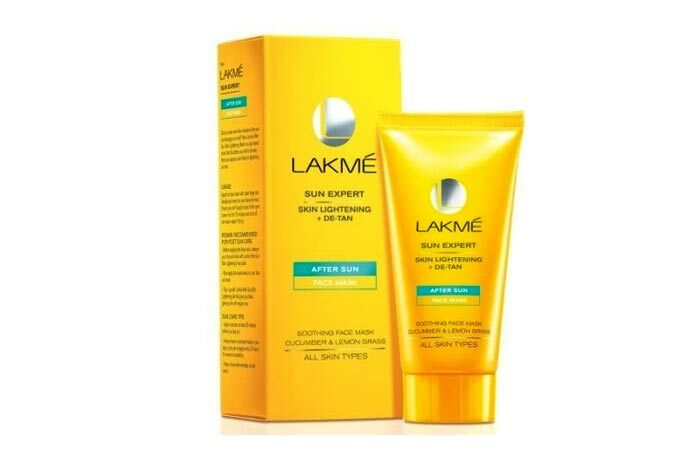 This Lakme Sun Expert After Sun Skin Lightening + De-Tan Face Mask is recommended for all skin types. Lakme Sun Expert Fairness + UV lotion with SPF 30 PA+ is specially formulated for oily skin that gives a light feel and provides protection from UVA and UVB rays, giving you fair and glowing skin. The packaging is attractive. This is easy to apply and gets absorbed quickly, providing intense hydration. It does not clog the pores nor does it make the skin sweaty or greasy. You will love its pleasant smell as soon as you open the tube. The cream is neither too thick nor too runny. This Lakme Sun Expert Fairness + UV Lotion SPF 30 is recommended for Oily skin. So which of these Lakme products are you going to pick up next? How To Protect Your Skin From Sun Damage?